The bitter chill of Berlin in February. It is on these streets and in these cinemas that the 66th Berlinale aka the ‘Berlin International Film Festival’ sets out its stall to welcome the film universe for 10 days. With a programme packed to the brim with the good, the bad and the ugly from across the world, every accredited journalist will spend many hours locked in a darkened room to fester or, better still, bask in cinematic splendour. But as I group my faculties together to write this dispatch, I am overcome with the foggy mind that is the consequence of late nights, early starts, freezing temperatures and too many hours spent in said darkness (and this is only day 4). Without resorting to the reliable crutch of a few alcoholic beverages to warm the cockles (well, not yet, anyway), the first part of this diary is led kicking and screaming through a process of two sentences forward, one sentence back. I’ve hit the delete key more times than a hospital patient getting frisky with the morphine drip. 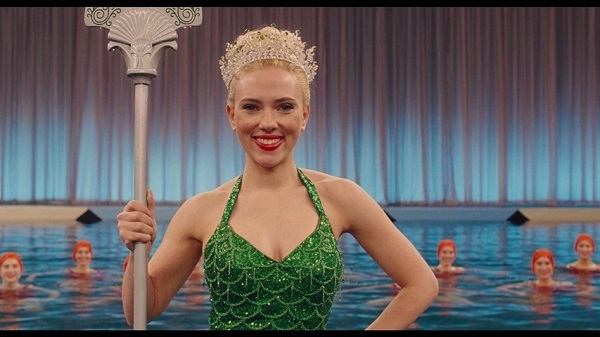 The film to cut the velvety rope and launch the festival this year is the Coen Brothers return in Hail Caesar (4/5). Moving their focus back ten years from the Greenwich Village music scene homage in Inside Llewyn Davies, this is a biting, but also frequently humorous, and often affectionate, dissection of the Hollywood machine in the 1950s, as the communist cause swelled during McCarthy period America. This breezy satire flouts a rambunctious, and highly spirited traipse through the old times with impressive and well-intentioned vignettes of arresting razzmatazz; all nodding winks, dazzling primary colours, jaunty singsongs and so forth. George Clooney is back in the Coens fold for the third time, taking top billing alongside Josh Brolin, who plays Capitol film studio ‘fixer’ Edward Mannix. Mannix must wrangle and untangle the icky predicaments that his studio’s stable get themselves into. This includes trying to tame the outspoken dame, DeeAnna Moran (Scarlet Johansson), who is cooking a bun in her oven, yet doesn’t know who the father is. Propelled with plenty of tongue-in-cheek charm, this star laden outing has its participants chewing the scenery more than a random goat caught on camera on an episode of Country File. As ever with the Coens, this work is easy to admire but hard to love. It is impressive, if lacking an emotional core. The word ‘disappointment’ doesn’t begin to do justice to the flat sensation from watching Tempestad (1/5). Why did it have to be this way? No one can doubt the seriousness of the topic. This is a film that charts the experiences, post-incarceration, of Adela; a woman arrested and wrongly accused of people trafficking in Mexico. She is the scapegoat: the patsy. It is an urgent and vital issue; a noble topic in general, and hers is a harrowing story, which is why I am positively boiling with frustration (as well as recalling copious boredom), as the director opted to filter the narration through abstract, unrelated images whilst Adela told her story. This was artsy fare when the need was for the short, sharp shock of direct filmmaking. There’s a time and the place for Tatiana Huezo’s approach. It wasn’t here. Similarly dissatisfying, but in an altogether different way is Kaori Momoi’s, Hee (2/5); another exercise where much promise appeared on paper, but little in the way of actualisation. Presented with plenty of quirk, it slumps where it should soar. Charting the story of an ageing prostitute accused of murder and her assessment by a therapist, the film unravels quicker than the prostitute’s sanity and/or undergarments. The saving grace was a potent and insightful exchange between patient and therapist near the end where she questioned the relationship between the observer and the observed. Shame there wasn’t more of this. Jeff Nichol’s indie sensibilities continue to flourish as he follows up Matthew McConaughey starring Mud (2012) with Midnight Special (3/5); a film clocks a tentative eye on the unusual. Inventive and daring, its laughable denouement is a consequence of bold, brave filmmaking. It’s easy to mock and sneer, but at least this young director dares to be different. In this instance, he tells the story of boy capable of special powers, bedecked with goggles to protect both himself and others. 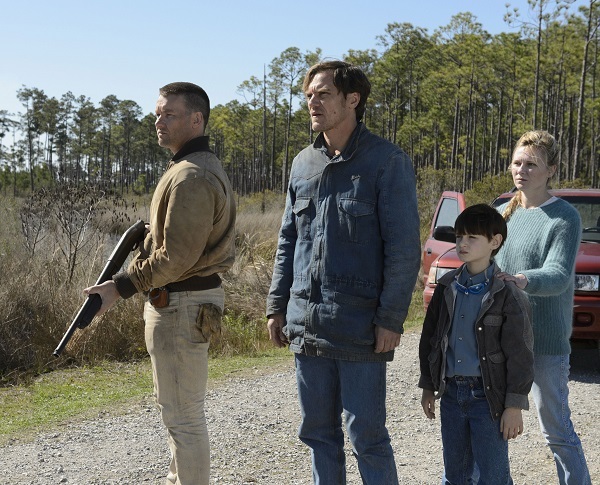 On the run, or kidnapped (time proves which of the two it is), the boy is at the merciless hands of Joel Edgerton and Michael Shannon’s questionable relationship with the law. Ratcheted up with measured tension, it is sad to see the ball dropped in the final third. Sadly, this is the perfect example of a 5 star film nose-diving towards 3 stars come the end. Adam Driver impresses, however, as does a dowdy and committed Kirsten Dunst. L’avenir (4/5) represents a naturalistic style that one would usually associated with director Mia Hansen-Love’s late compatriot, Eric Rohmer. This tale of a woman in her late-fifties being abandoned by her husband and re-evaluating her life also bears a tone that offers favourable comparisons with Andrew Haigh’s lauded 45 Years. Isabelle Huppert takes centre stage as the woman – a philosophy teacher - in crisis. Hansen-Love’s screenplay doesn’t sugar-coat the bad with an unrealistic upsurge towards a fairy tale resolution. This is very much contemplative fare, shown through adult eyes. For those in a reflective mood, and requiring some intellectual nourishment, this might be your bag. It’ll be in cinemas from 6th April and is very much deserving of its place in Competition for the Golden Bear here. That’s Part 1 out of the way. Next up, I’ll give the lowdown on the Emma Thompson, Brendan Gleeson and Daniel Bruhl wartime drama Alone in Berlin, in addition to scathing drone technology documentary National Bird amongst others. We also welcome the return of enthusiastic polemist, Michael Moore in Where to Invade Next.